Gemstudded Golem is also even. Gem studded golem isn't played much. 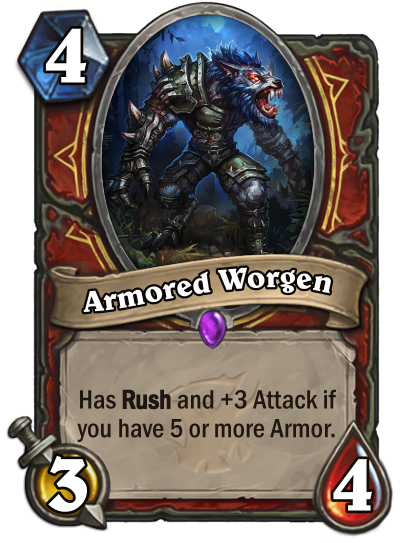 it's sorta easy for warrior to have 5 or more armor at any given time. Heck, there's even that 1 mana spell that gives 5 armor. With that, this is a 5 mana 6/4 with Rush. I like the idea, but it might be a bit op as it is now.